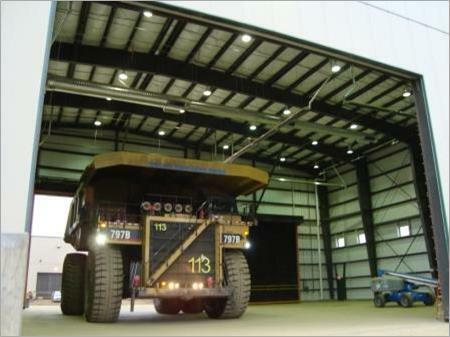 Description: The Muskeg River Mine Truck Tire Change Facility is an 18,400 sq. ft. design-build project. This facility consists of 13,000 sq. ft. of working shop area, 5,200 sq. ft. of office and mezzanine. The scope includes the complete design and construction of the facility from site excavation through to turn-over to the owner.